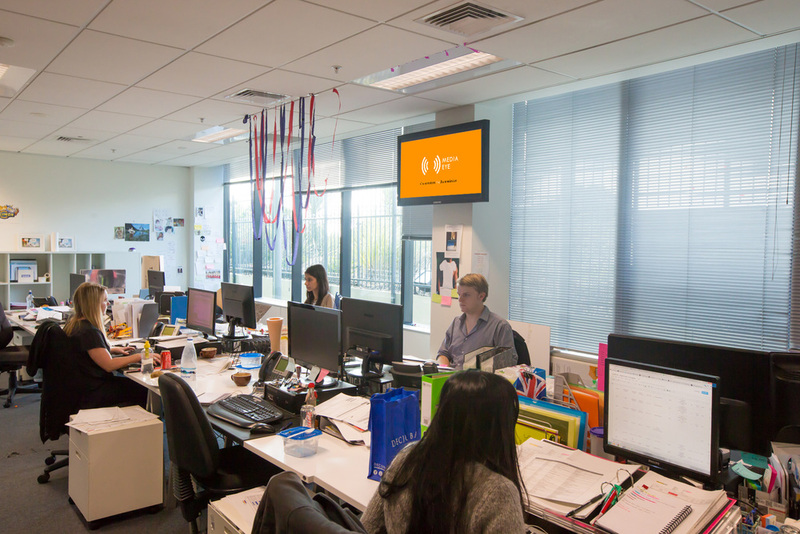 Media Eye comprises a network of screens that are prominently located within leading media agencies across New Zealand. 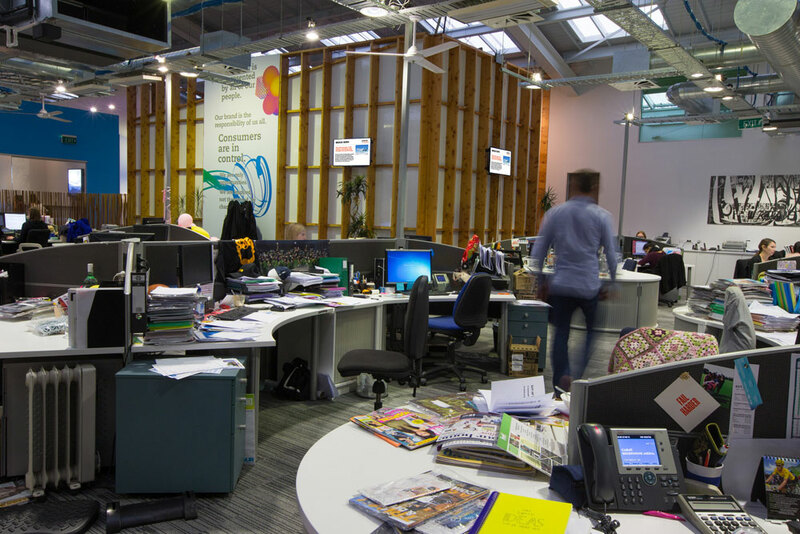 The screens carry a mixture of media news, current affairs, and media owner product updates, which keep media agencies informed every hour of every day. Screens are located in agency lobbies and work areas. Content can be quickly and easily updated by agencies and advertisers, while general news and sport headlines are continuously updated throughout the day by an automated feed. Used widely overseas these networks have proven to keep agency personnel well informed with the latest offerings from media owners. The solution allows agencies to post their own internal messages for staff. Using a simple secure web login content can be updated and scheduled in seconds. The content loop is 15-20 minutes in duration and carries a mixture of media news, agency messages, and media product updates along with general news weather and sport. The screens carry visual messaging only with no audio. There is no cost to the agency for this solution, all they need to supply is a power point and wireless access to their internet. If you are interested in placing one-or-more of these screens in your agency please feel free to get in touch. Unlike emails that are often deleted or ignored, these large format digital screen get your message heard. Agency staff are drawn to the screens for updates to news and sport headlines, substantially increasing exposure to the products and services you are promoting.